Ceilidhs are great fun for people of all ages and experiences. Whether you are having your first go or are an accomplished dancer, with the help of our caller you will soon be dancing like an expert. Forget any fears of making mistakes; the real aim is to have fun! 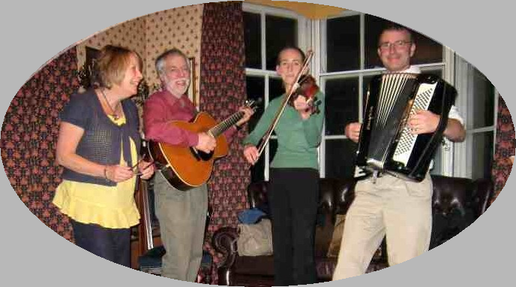 The Dark Horse Ceilidh Band is a Yorkshire-based ceilidh band. We play regularly at a variety of events, including weddings, birthday parties, fundraisers and club socials – just let us know what your requirements are, and we will do our best to meet your needs. Choose from the options on the left for more information.